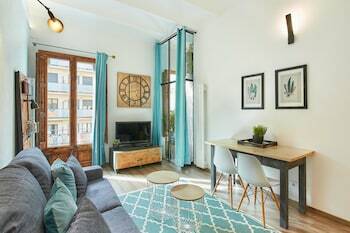 With a stay at Urban District - Vintage Suites, you'll be centrally located in Barcelona, within a 10-minute drive of Mar Bella Beach and Barceloneta Beach. For a surcharge, guests may use a roundtrip airport shuttle (available 24 hours) and a cruise ship terminal shuttle. Located in Villanova, Hotel Casa Arcas is in the mountains, a 1-minute drive from Benasque Valley and 9 minutes from Palacio de los Condes de Ribagorza. Free self parking is available onsite. A stay at this apartment places you in the heart of San Sebastian, within a 15-minute walk of Concha Beach and Monte Urgull.